WooCommerce Drip Extension: Integrates your Drip Email Marketing account with your WooCommerce store. Get actionable data on your customers and subscribers. WooCommerce Drip connects your WooCommerce store to your Drip Email Marketing account. 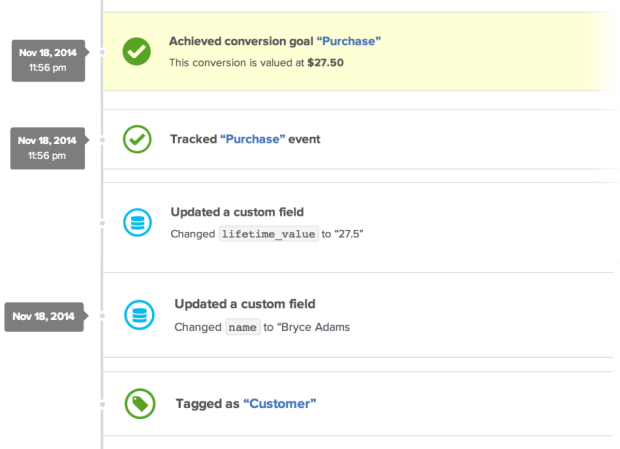 It allows customers to subscribe to receive emails, and tracks conversions, sales and lifetime value for those who do. Goal Conversion: A conversion goal will (optionally) be achieved in your Drip account. Event Recorded: An event for the sale will be recorded in the subscriber’s history. Lifetime Value: The lifetime value of the subscriber will be updated, so you can see how much value these customers have been, not just in one order but all of the orders they’ve made. Subscriber Name: The name custom field will be updated with the subscriber’s name used during checkout. Subscriber Tag: The subscriber will be given a tag of Customer, so you can easily see which subscribers are actually customers. Purchased Products: The products purchased by a user are recorded too, so you can target broadcasts and campaigns at certain product owners. You could even sell Drip campaigns using this method!